You have found the home to all of your gutter needs. From K gutter to Half Round Gutter. From Aluminum to Copper, to Steel. 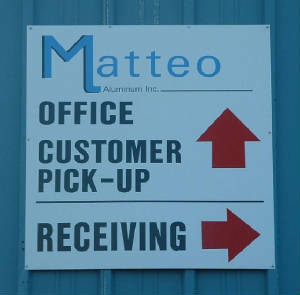 Give us a call 1-877-MATTEO1. wholesale purchases. We also offer quantity discounts for large purchases. Please browse through our product tab and if you don't find what you need, please call and if we don't have it, we will find it for you. Our friendly staff will help you with all your needs.